Maya received a traditional popsicle mold for her birthday. I tried to find one that was not plastic or at least recycled plastic, but sadly was not able to find something that was the shape I was looking for. None the less, the one I decided on (is at least BPA free) is a great useful gift to give her much enjoyment through life. Making popsicle could not be simpler, of course you can get very fancy with them, but for Maya’s first batch of popsicle we kept it easy. We used a combination of juices of her choice, which was a complimentary mango and coconut juices. We love the Lakewood organic coconut juice that is blended with grape juice. We also used the Lakewood organic pure mango nectar. These juices are great quality, nice and thick, not too sweet and of course being a totally organic company, Lakewood is awesome! Super easy, yummy and pretty too! 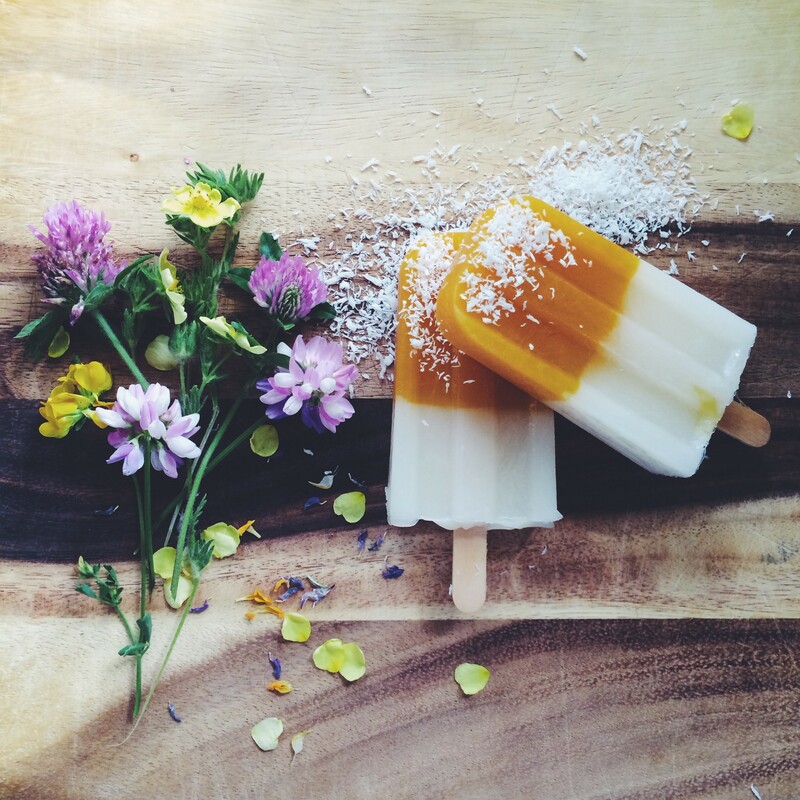 This entry was posted in E A T and tagged eat, ice blocks, popsicles, summer. Yum!! We’ll definitely have to try this in our house!